By now, you all must’ve gotten used to the blog posting process we’re following here for helping businesses establish their presences on various social media platforms. If you haven’t, let us just quickly reiterate. We have divided the process into three components – strategising, creating impactful profiles, and using the platform in the right manner. We’ve already completed the trio for Instagram and Facebook as well as the first component of Twitter – the Twitter business strategy. Now, we’ve set our sights on helping you, dear reader; create the right Twitter business account. In the previous post linked above, we explained what is unique about Twitter. While you can use Facebook for broadcasting your content and Instagram for displaying your wares, the same can’t be said for Twitter because it’s primary purpose is to facilitate interactions. In fact, the fact that no tweet can exceed 140 characters and no username 15 characters shows that Twitter is designed to promote back and forth discussions as opposed to monologues. The first step to setting up a Twitter business account involves signing up with Twitter in the first place. To do this, you simply sign out of your Twitter account (if you already have one) and go to the signup page. Here, you provide your name, email ID, and password to create a brand new Twitter account. Ideally, your password should have symbols and numbers along with letters. 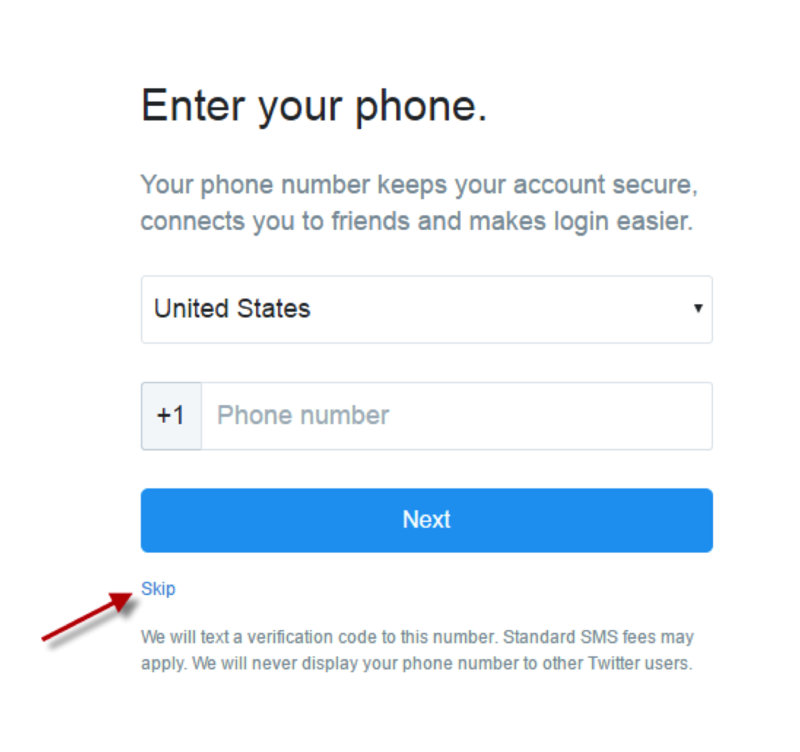 On the next page, after you’ve verified your email address, Twitter will ask you to connect a phone number with your new Twitter account. This is optional and there will be a ‘Skip’ button over there. However, we recommend that you connect a phone number because it has multiple benefits. The foremost of these is that you’ll be able to authenticate your account with your phone if you forget your password or if it is taken over by malcontents. Another key benefit is that you’ll get notifications from Twitter every time there is some activity on your account. You’ll be able to set which activities result in notifications and which don’t later. 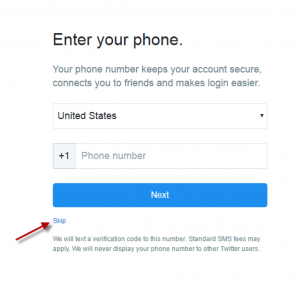 The next step is very crucial to your Twitter business account because you’ll be asked to pick a username or Twitter handle. It is important because this username is what others on Twitter will see and recognise you by. Therefore, you should try to use your business’s name here. Remember, you’ll have to option of changing your username later but you should only exercise this option during earlier stages only. If you change your username after you’ve established yourself, then all your work may go down the drain in a hurry. Next, Twitter will present you with a wizard where you can choose interests and people to follow. This is useful because it will allow you to be tuned into the circles you want your business to finally dominate. You’ll also be able to import contacts with this wizard. Twitter will now take you to your home page. If you go to your Twitter profile from this page, you’ll see a cover photo and a profile photo. While Twitter isn’t as image-centric as Instagram, profile images still play a big role in getting followers because they’re the first things people see. This profile will be your Twitter front desk or reception area. Thus, you need to jazz it up a little. 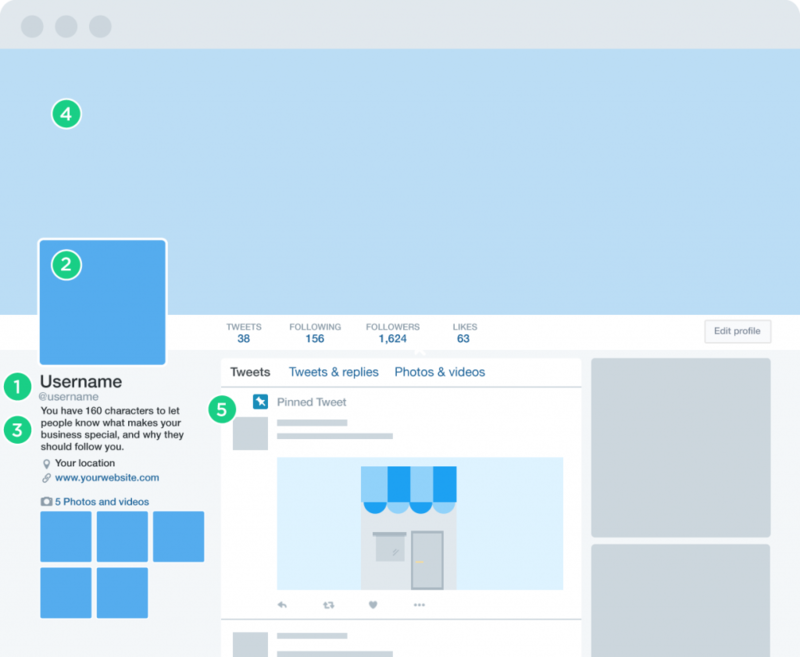 Your Twitter profile is bare bones now with some basic, standard images representing your business. You’ll need to change this around, of course. For this, you should click on ‘Edit Profile’. 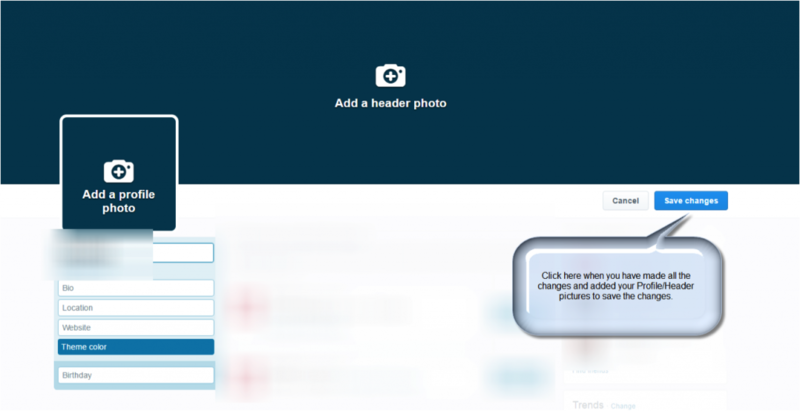 This will make your profile editable and allow you to upload cover and profile pictures along with making changes to other info on the left sidebar of your profile. For businesses, the profile picture should almost always be the logo because that is the most recognisable element of any business. We say “almost always” because Sole Traders have the option of putting up their own images in this section. However, while the option is available, we still recommend logos. You should also keep in mind that the profile image is square. It is supposed to measure 400 x 400 pixels. If your profile image has different dimensions, then Twitter will crop it to fit into the given space. With respect to the cover image, the sky is the limit. You can choose something that reflects your business’s strengths and capabilities, something that acts as a catalogue of your business’s work or even something that dovetails well with your profile image. The recommended dimensions of the cover image are 1500 x 500 pixels. 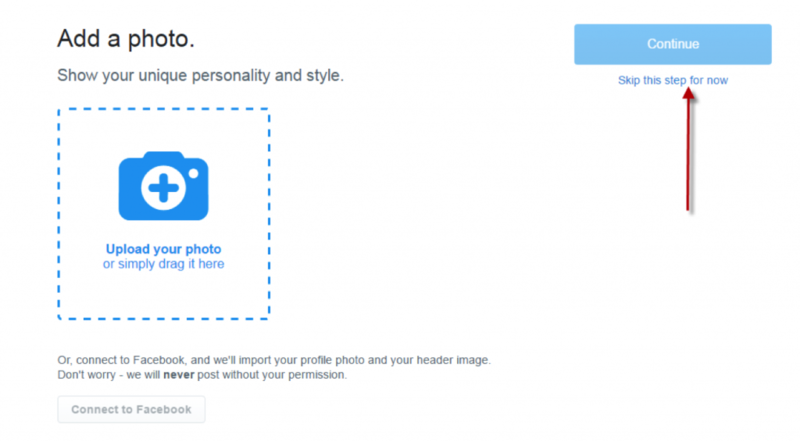 Apart from the images, you will also get the option to change the colour scheme of your Twitter profile. It is always a good idea to ensure that your Twitter profile’s colour scheme matches your website’s and logo’s colour schemes. Additionally, you should also look to populate the box under your profile image on the left sidebar. This box contains information about your business starting with your username. You should input your business’s location if you primarily focus on a specific locality, neighbourhood, city, or region. You should provide your website’s URL so interested people can visit your website. Your bio is like a small blurb of your business. 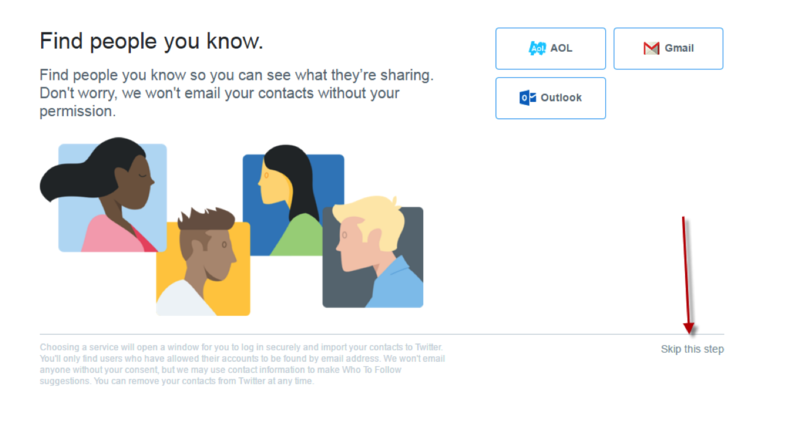 It is going to pop up all over the space such as search engine results, on your profile page, and even in a pop up when someone hovers over the username on top of your tweets. This is precisely why you need to focus heavily on your bio. Your 160 character bio needs to do three things simultaneously. The first is to describe what your business is and what it does. The second is that exemplify the inherent qualities of your business and the third is to appeal to your targeted audience in the best way possible. You can approach your Twitter bio in four different ways. The most common of these is to provide as much information as you can within those 160 characters. You can list your business’s primary products or services. You can also list your business’s main strengths and objectives. The opposite of the informative method is the light, friendly, and fun method where you make your bio more personable. With this method, you’re trying to appeal to your target audience on a personal level. You can see it this way: informative method showed professionalism while the personable method will show approachability. The third approach is strategic where you devise your Twitter business account bio from the technical perspective. This means including the right keywords, the right hashtags, and the right links so that search engines can discover the account easily. The fourth and final approach is to be action focused. 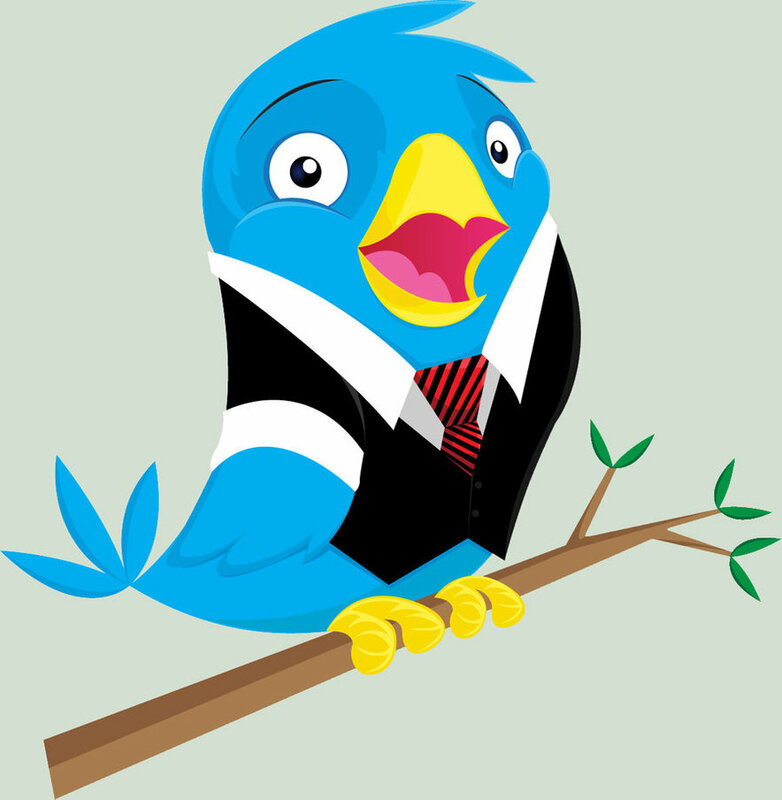 Your Twitter bio can supplement your on-going marketing campaign by way of inviting your Twitter followers to engage. For instance, if you’re holding a photo contest, you can use your bio to get people to participate. Once you’ve completed your Twitter business account, your next step will be to gather followers. While you can always go about buying followers from countless services available online, this isn’t really recommended for the serious strategists. Buying followers only results in dead accounts, which runs opposite to Twitter’s core strength of engagement. If you’re not buying followers from third party service providers, then you’ll have to achieve same objectives organically. This process starts with you following people of interest to your business so that you come to their attention and they may start following you back. Twitter has a suggestion system where it will show you various accounts that you can follow. Be warned that you’ll feel a strong temptation to simply follow every suggestion from Twitter. However, you should hold yourself back from doing this because all the suggestions will not be relevant or result in follow-backs. There’s nothing worse than tumbleweed rolling across dead Twitter business accounts. You are looking to leverage Twitter business accounts because you have certain goals and objectives which you accept to achieve. All these goals and objectives, however, will become unachievable if your Twitter business account turns into a dud and that is exactly what will happen if it is inactive. You need to ensure that your Twitter account remains active which means ensuring constancy with content. However, that is just to keep people interested. To truly grow your followers regularly, you’ll have to become an authority in your area of expertise. This means posting relevant and useful content on a regular basis. There are other numerous techniques you can use to increase your followers too. For instance, you can use #FollowFriday. This is a hashtag that is used every Friday. It is used by people to suggest interesting people to follow to their own followers. It’s a form of giving back to the Twitter community that can also result in your followers growing. Then, there is the strategy we suggested in our previous post of using Twitter Chats.